Melton was named editor-in-chief of Los Angeles in 2009, and editorial director of Emmis Publishing in 2013. In addition to Los Angeles, she oversees the editorial direction of Atlanta, Cincinnati, Indianapolis, and Orange Coast magazines. 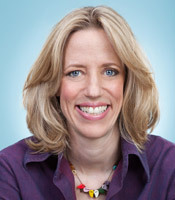 She joined Los Angeles in 2000 and has overseen theme issues, written personality profiles and popular culture pieces, and directed the launch of the magazine’s Web site, LAmag.com. Since she became editor-in-chief, the magazine has been nominated for 12 National Magazine Awards from the American Society of Magazine Editors (ASME) and won three: for General Excellence and Feature Writing (in 2011, the first ASME wins in the magazine’s history), and in 2013 for Personal Service. Melton won the 2010 PEN Center USA Literary Award Journalism for her profile "Julius Shulman In 36 Exposures." Prior to Los Angeles, Melton was an editor and writer at the Los Angeles Times Magazine from 1995 until 2000. She began her journalism career as an intern at the L.A. Weekly, where she was later appointed managing editor. A fourth-generation Angeleno and a graduate of Hollywood High School, Melton holds a degree in history from UCLA.